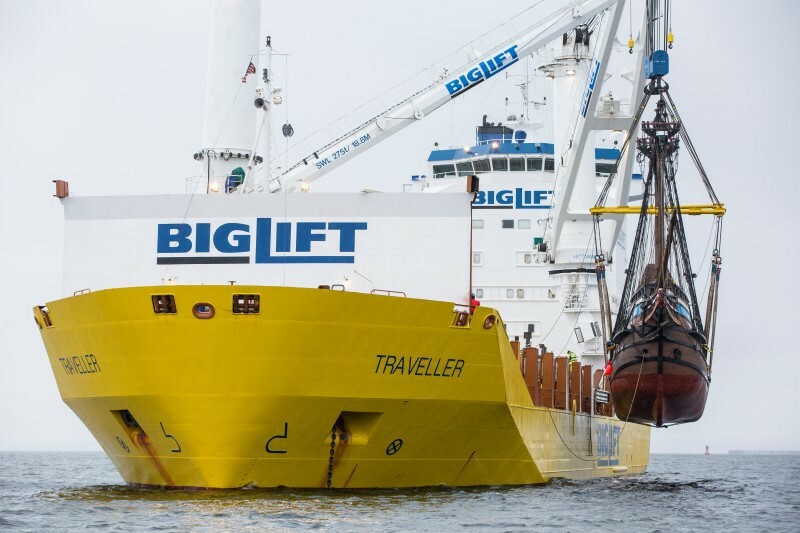 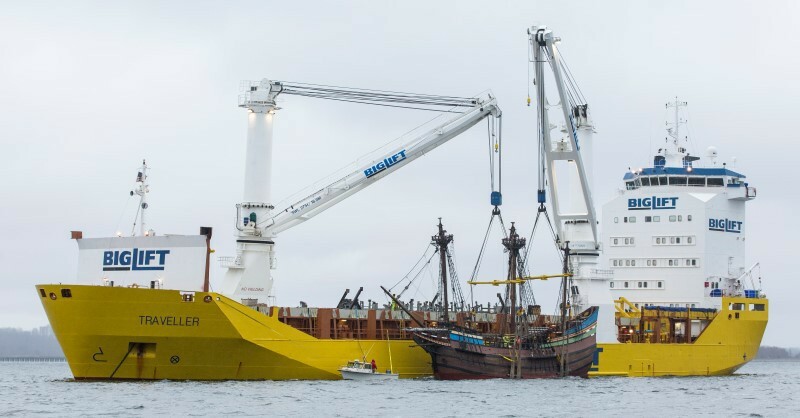 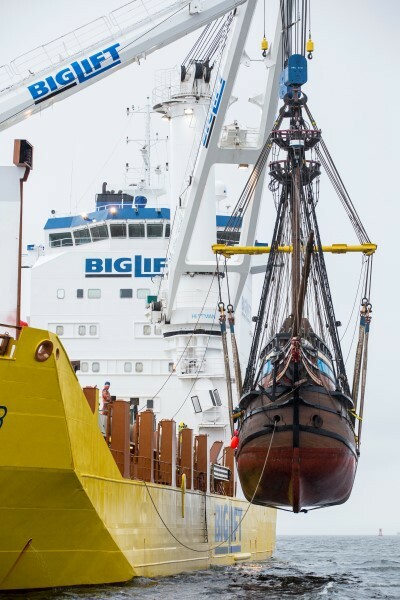 In April 2015 mv Traveller has transported historic Half Moon from Newport, NY, to Hoorn, Netherlands. 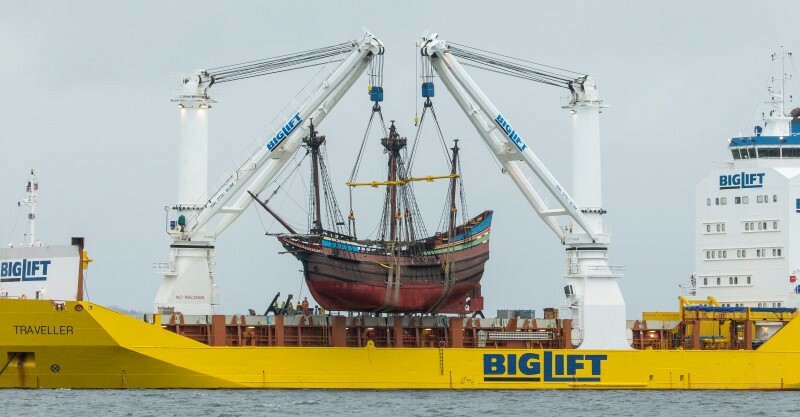 She is returning home as the Half Moon was likely built in Hoorn around 1606. 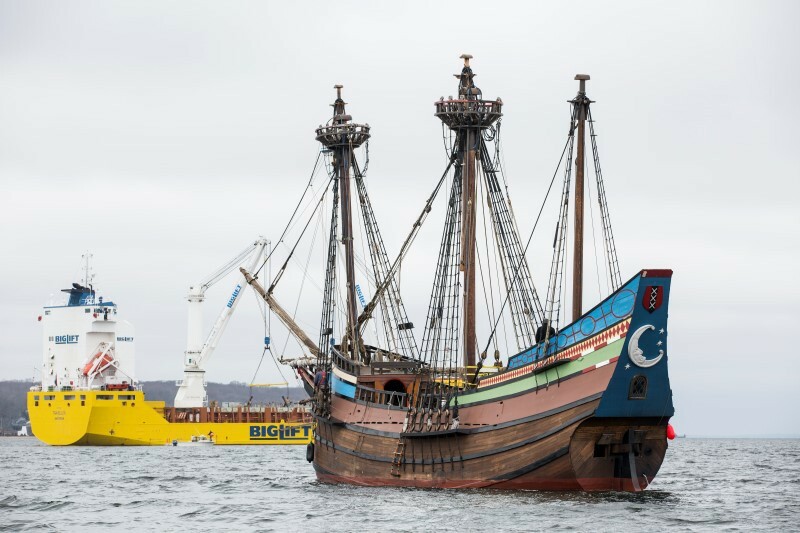 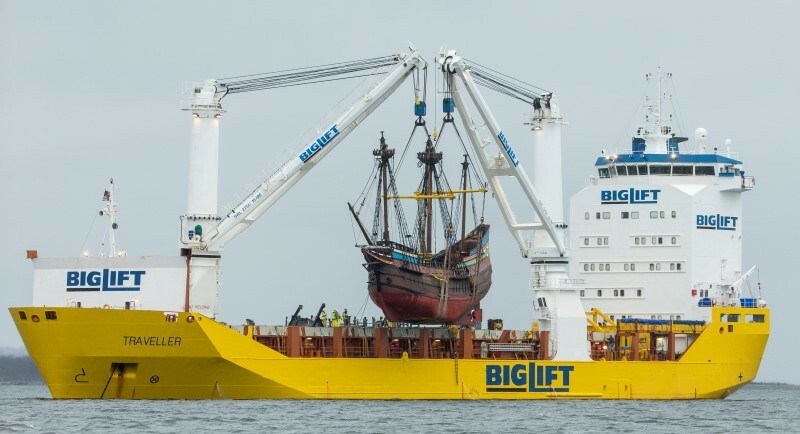 The Half Moon will lead the 400th Anniversary of the Discovery of Cape Hoorn ceremonies on June 15, 2015 and in Sail Amsterdam at the end of the summer.